*FLAILING ABOUT, AGAIN! * GEEZ, another book that I am so super excited about. I CANNOT WAIT FOR THIS! AHHHHHHHHHHHHHHHHHHHHHHHHHHHHHHHH!!!!!!!!!!!!!!!!!!!!!!!!!!!!!!!!!!!!!!! SNEAK PEEK = ACK ACK ACK! Yes, you read that right. I won an eARC of this book through contest Victoria was holding on her blog. I was SO excited when she contacted me. It feels like forever since I read The Archived (since I received an ARC of that from the publisher). I was so upset when I heard there would be no ARCs of this book. So imagine my surprise when I got one! I want to thank Disney Hyperion and Victoria for providing me with an eARC of this book to read and give an honest review. Winning this book has in no way influenced my opinion or review. So when I finished this book, I did not even know where to start a review. So much so it's taken me over a week to get my thoughts together and I'm still not sure if I've gotten everything down that I wanted to write. It's so hard to know what to tell you and what not to tell you because I don't want to spoil the story line. So my review here might seem a big vague, but do know that it is with the best of intentions to get you excited to read this book while not telling you what happens along the way! As I said in my sneak peek review, this cover is most awesome. Now even more since I know the story and can see where the elements fall inside the book! Whoever is doing these covers is really hitting the nail on the head with displaying the major theme of these books! Mackenzie, how I love her. She's independent and strong. And, while she tries her hardest to be stoic, there is this vulnerability about her that just sticks you right in the heart! I want to know how she's feeling and watch how she reacts to others. She strikes me as an old soul, someone who definitely understands how to be more adult than she needs to. She has no one but Wesley and Roland to share her "other" life with and she holds so much in, keeps so much from so many. I can't imagine how hard this is for her. I can't imagine she doesn't want to just blurt things out at times wanting others to know about the other world that lies between the walls. Wesley, well, he's so swoon worthy. I just love how protective he is of Mackenzie. I love how he is so selfless, wants to always do what is right by her. What I love about their romance is that it is not the main theme of the book. It's always there, but they both know where their duties lie and understand that there are things much bigger than both of them. And, in this book, Wesley turns out to be someone you never thought he was. You get more of a look into his life. He seems to hide a lot, though, and I'm still wondering what his life is like outside of being a Keeper. What was it like growing up as Wesley? And we have the return of a few characters from the previous book. Roland, who is very much a father figure to Mackenzie and who vouches for her no matter what. Mac's mom and dad, who still have no clue that she is a Keeper, but feel there is something off with her and are determined to try and protect her. And there is the return of a character I wasn't expecting to see, but I won't spoil that for you! And then there are new characters who you meet as Mackenzie falls in with a group at her new school: Hyde. The most interesting of which is Cash. He's swoon worthy for sure. And when he was introduced I immediately got wary that Schwab was pulling a love triangle on me. I mean this guy is smooth and good looking, and he begins to lavish attention on Mac from the beginning. How could she not fall for him? I could certainly see how he would give competition to the great Wesley Ayers! Does Mac fall? I guess you'll have to wait and see when you read the book! No spoilers from me! As for the plot, it is fantastic. All around Mac people are vanishing and she can't figure out why. Her only link to them all is that they have been exposed to her, that she was the last person they see before they are gone. Where are they going? That's what she aims to find out. But during the course of her investigation, she has things happen to her that she can't really explain. And she wonders if she is going crazy, as do her parents. And to top it all off, she's being followed and she is becoming the prime suspect in these disappearances (both from The Archive's point of view and from the local police!). The pace of this story is outstanding. There was not one moment I wanted to put this book down, although I had to since I do have a job, family, and other duties in my life. I would have gladly stayed up all night to read this and find out the ending. Schwab moves you easily from one chapter to the next with a smoothness that only she can seem to accomplish. I was never bored while reading this. Schwab never gave information that wasn't extremely necessary to the story. Even her flashbacks are integral to showing us information about Mackenzie's past that is important for us to understand who she is. And on top of it all, you have no idea who the good guys and bad buys are. I love that! I had this same feeling when I read The Archived. I had no idea who I could and could not trust! Same to this story, I could not pinpoint who was going to turn on Mackenzie, who was going to be the one who turned on her! It made for a fast paced and exciting read! And Victoria's writing, oh my! This girl can write. There is not one word she uses that is unneeded. She doesn't information dump. What she does do is slowly reveal the information just as you need it. And just as you think you know what's going on, Schwab throws a wrench into things and takes you in another direction! But you're not mad, oh no, you are happy she's revealed something else! Reading this book is like having to open your presents slowly, taking care not to rip anything while the excitement mounts as to what you will find! I can honestly say that this is quickly becoming my favorite series. And I can also say that I will be upset when it ends! 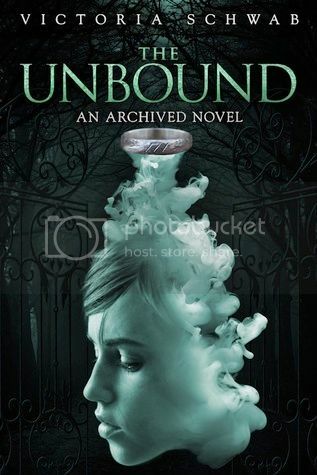 I truly think I will have series withdrawal, until Schwab hits us with something else, that is! If you haven't picked up The Archived, go get it before this beauty hits the shelves. Because, while the first book can certainly stand alone, the room it leaves for this second book is just right. And like the first book, you are not left hanging and wondering what will happen in the next book. On the contrary, Schwab wraps the story in a nice bundle. I'm excited to see where she takes this next!